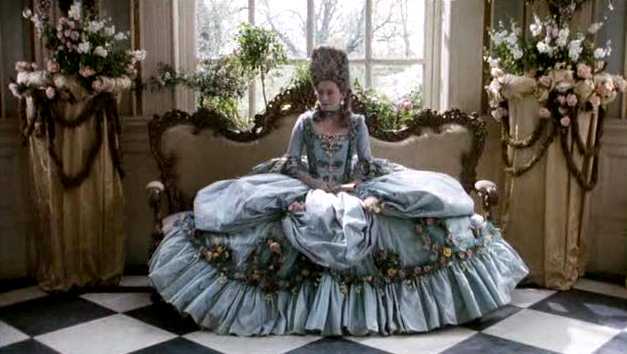 This is our version of the blue floral gown from the movie Orlando. We can make this in any color or fabric, with flowers, trims and lace in any color. We will make this to your specifications and measurements. 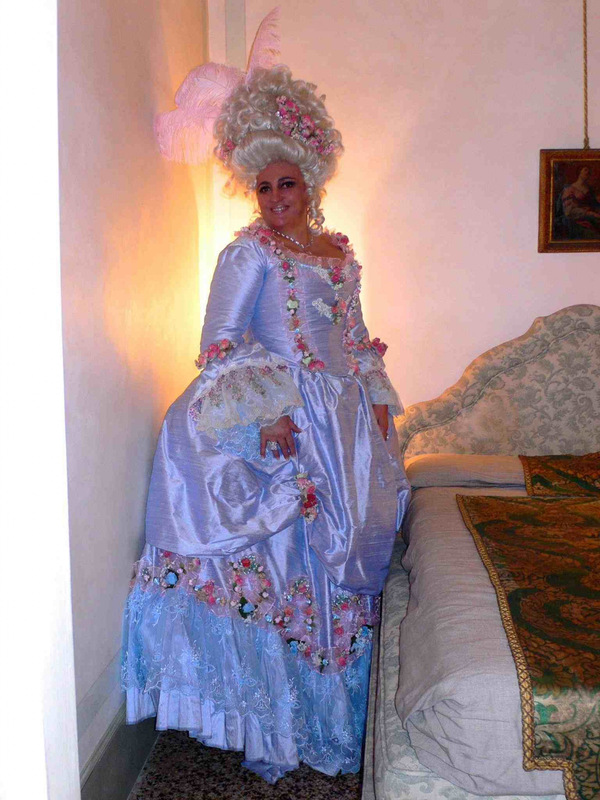 This gown has a ton of flowers that are hand sewn on, so it takes alot of work, but the result is very pretty. 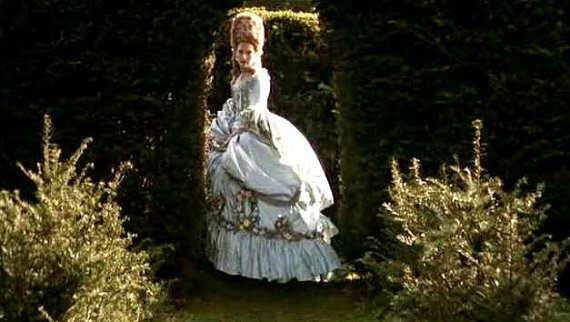 We will include a full hoop/crinoline. This will include a bodice that laces in back and includes a modesty panel. 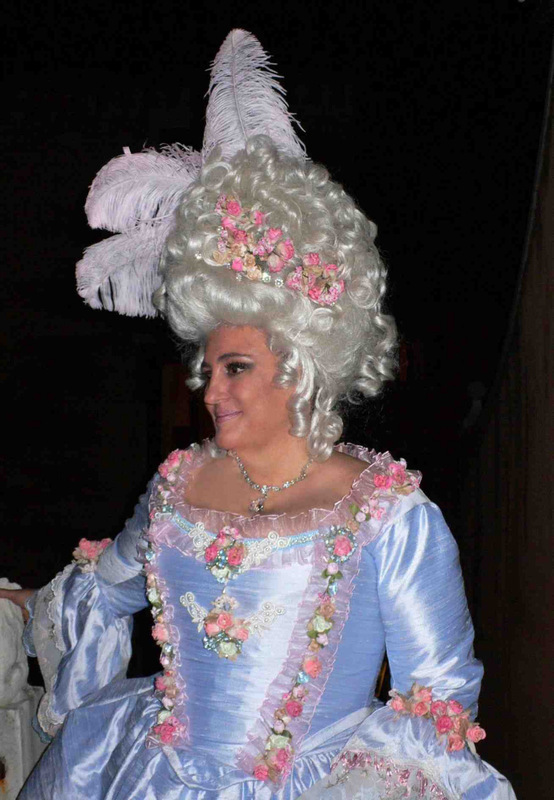 If you want a different style bodice we can go over that as well. 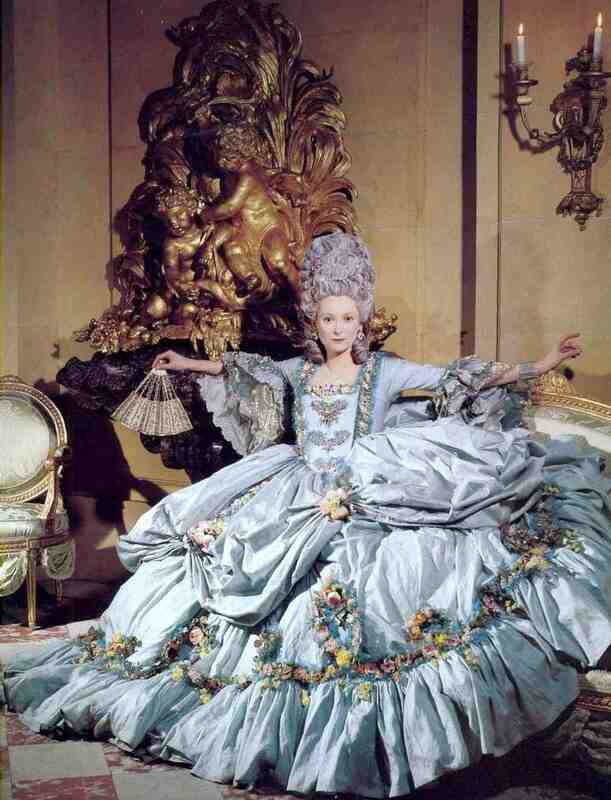 This has double or triple antoinette sleeves with beaded fringe, lace undersleeves, trim and flowers. Ruffled organza underneath flowers which are sewn onto the bodice, small appliques in front with flower clusters. Bodice is interlined, lined and has boning. Grommets can be brass, silver, gold or black. 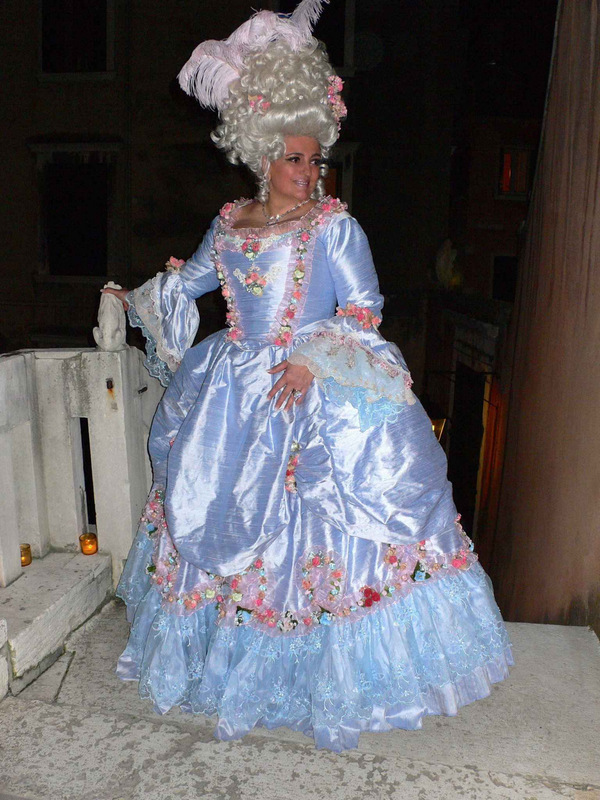 Gown can be made in any color like ivory with champagne/ivory flowers...or all pink, or red with black flowers/trims, etc. Skirt is very full and has a large silk ruffle around the bottom. 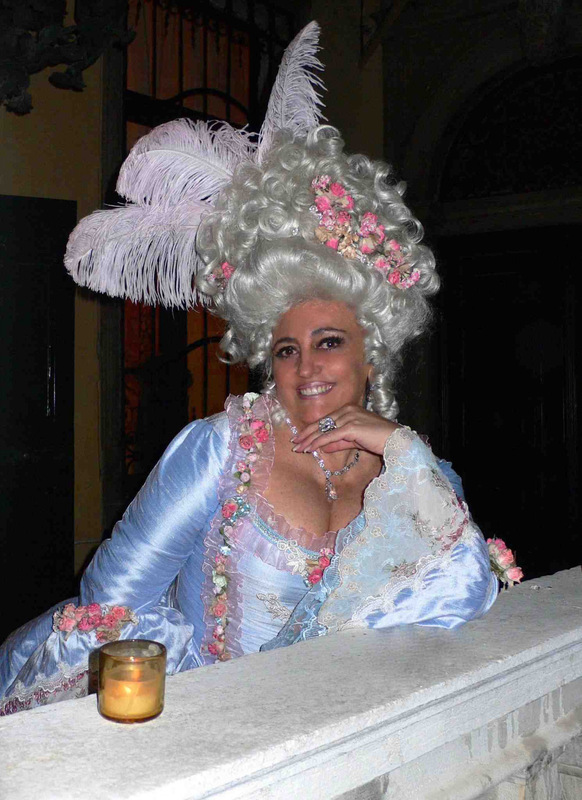 Our sample shown on Rossana in Venice at Carnivale has an extra lace layer, we can do that or just have silk ruffle. 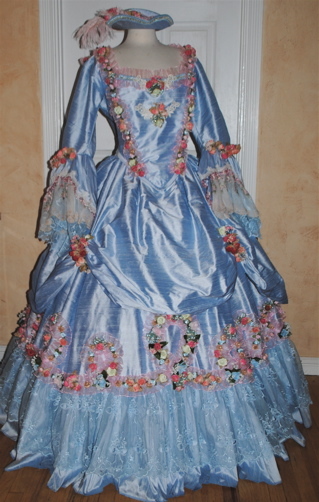 Organza trim with flowers sewn all around skirt. 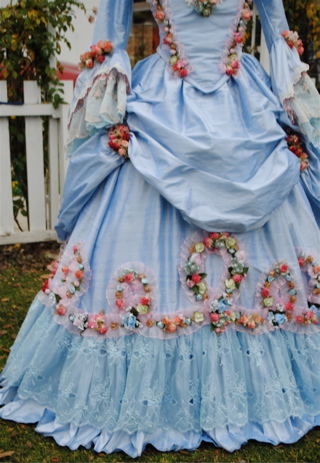 Overskirt is attached and has poufs pulled up with flower clusters. 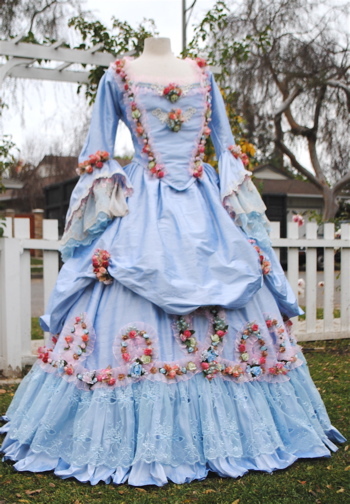 Makes a gorgeous costume, wedding gown, portrait gown, anything. We can send extra flowers for your hair or wig, hats and jewelry are available as well.